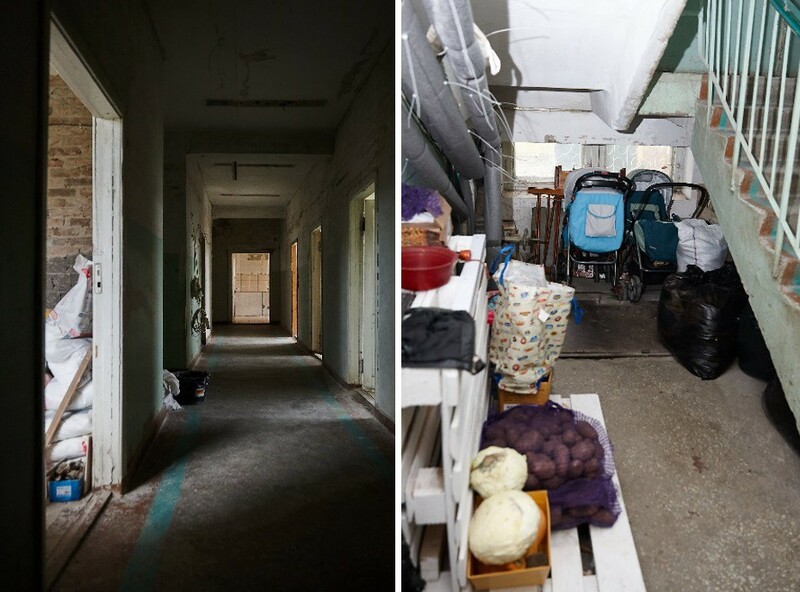 The Merezhka (Network) shelter for women who have suffered from domestic violence in Cherkasy, in central Ukraine, has been uninhabitable in the cold winter months. Now the city council has allocated UAH 856,168 (about $31,000) for the renovation of its roof and installation of a heating system. What is more, Cherkasy Oblast Administration will support the women by providing social adaptation services. This is all because of a highly effective advocacy campaign by an NGO coalition with the support of UNDP. Olena Stryzhak, 40, got involved in civic affairs back in 2002. “For the last 18 years I have been aware that I am living with HIV. And I know what discrimination is for myself”. “I remember how in the 2000s I was referred to a gynecologist at a local hospital and was verbally abused by the medical personnel. In the end, they provided the emergency care that I came for, but I felt really bad: I was deeply offended by their attitude,” confides Olena. Olena and her team from Positive Women have met many women living with HIV who have experienced domestic violence from their intimate partners. A total of 143,766 persons living with HIV (of whom 65,755 are women)are registered with the Centre of Public Health of the Ministry of Health of Ukraine in 2018. However, UNAIDS estimates that the real number of persons living with HIV in Ukraine is almost twice as high at between 220,000 and 260,000 people. Ukraine has the second-largest HIV epidemic in Eastern Europe and Central Asia. “I know, we all know in our coalition, how it feels to be constantly humiliated and discriminated against. That’s why we all were personally motivated to do our best,” says the civic activist. Led by Olena, the Cherkasy-based NGO coalition unites four organizations with different purposes. Persons Living with HIV and Positive Women offer help and support to women living with HIV. Perekhrestia (Crossroads) NGO works with children and youth with disabilities. And Nova Ukraina (New Ukraine) develops local communities in Cherkasy Oblast. Olena remembers how difficult it was to persuade the city councilors to vote to allocate funding for the Merezhka shelter. Without a roof and a heating system, women and children cannot live in the shelter. “We have realized that we are limited in time, and need to push the authorities before the winter comes,” she says. Olena Stryzhak and Maria Severynenko from Positive Women at the Cherkasy City Council building. Together with Maria Severynenko, her colleague from Positive Women, Olena explained to the city councilors at city budget commission hearings that the shelter has already been operating for four years with limited financing from private sources and some small grants. However, the funding is insufficient, and it is not sustainable. It is high time for the local authorities to finally pay attention to the overlooked problem of domestic violence in the region. Jointly with the NGO coalition, Cherkasy Oblast Council developed criteria for a tender to provide social services within the oblast’s Turbota (Care) socio-economic programme for 2014–2020. The tender is currently open. “Provision of social services by the oblast administration is envisaged only until the end of 2018. This is the pilot initiative. 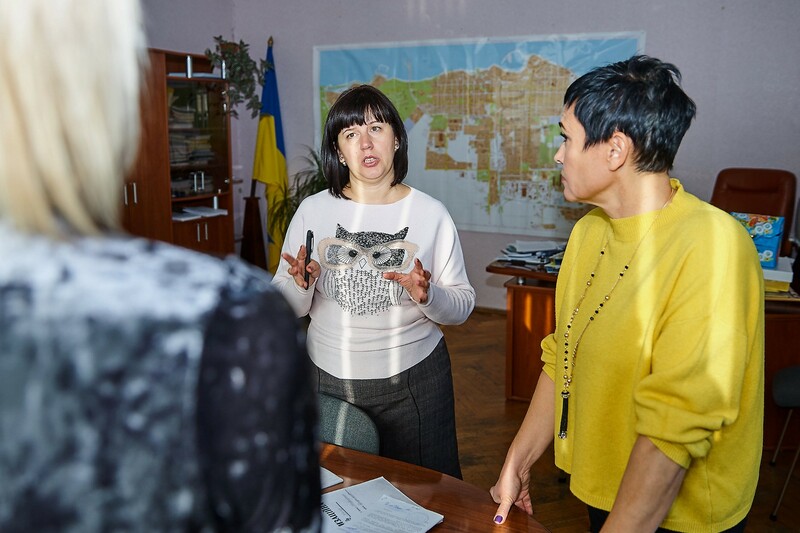 However, once the mechanism is launched, the oblast and city administration will allocate more funds for 2019 to support survivors of domestic violence,” reassures Maria Severynenko, another leader of the coalition. 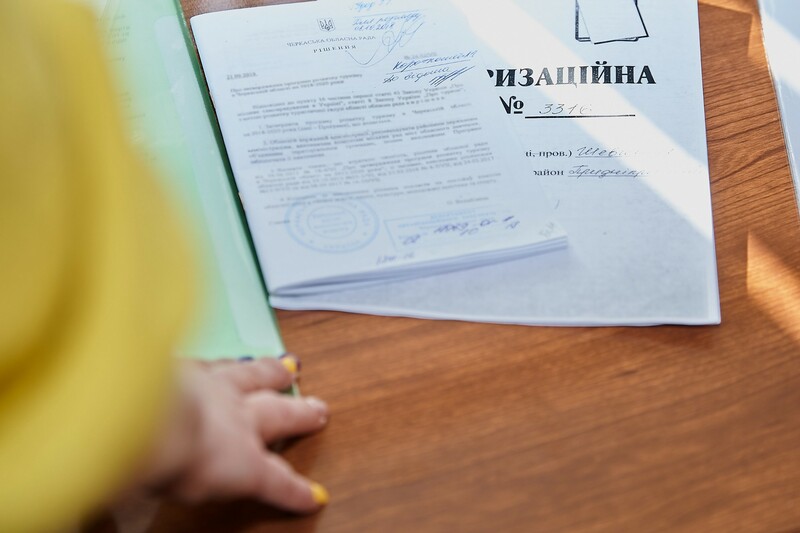 Cherkasy is one of the first cities and regions in Ukraine where local authorities have answered civil society calls, and followed CEDAW recommendations and new legislation when elaborating local policies. The problem of domestic violence is widespread in Ukraine. At least 22 per cent of women aged 15–49 have experienced at least one form or more of physical or sexual violence in their lifetime. But only 30 per cent of cases are reported. In 90 per cent of cases the women are survivors of domestic violence. 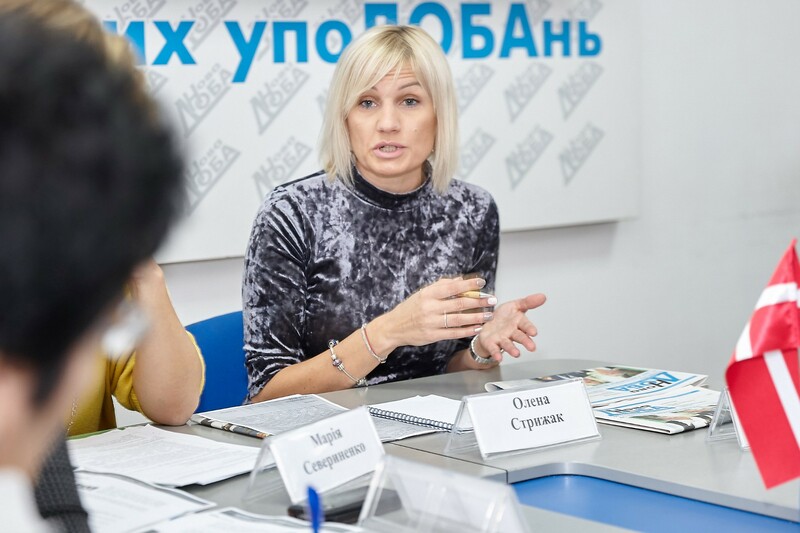 The NGO coalition in Cherkasy has been trained on how to conduct advocacy campaigns that take account of gender politics and women’s rights by the “Democracy Development Centre”. 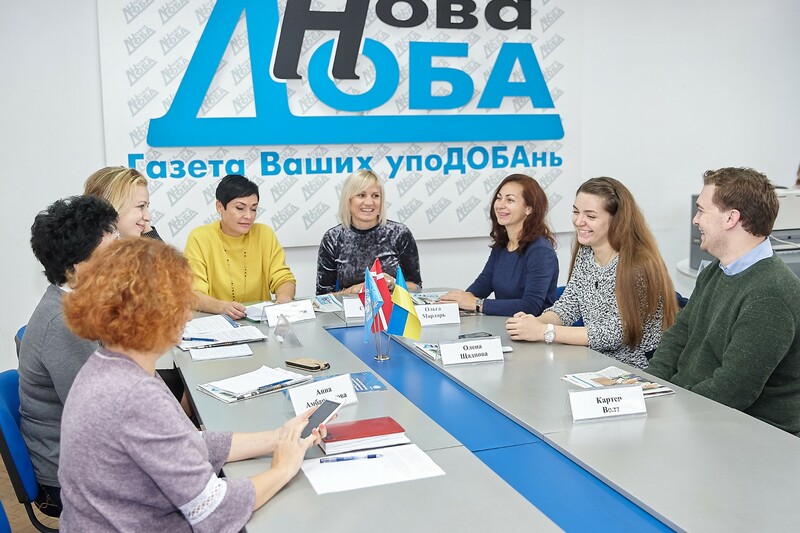 The advocacy campaign has been implemented within UNDP’s “Civil Society for Enhanced Democracy and Human Rights in Ukraine” project, financed by Denmark’s Ministry of Foreign Affairs.